Emmanuel Dietrich –born 1969- is a an architect mainly known as a successful designer. He previously worked in/for many companies like Calvin Klein, Hermes and Louis Vuitton designing watches. 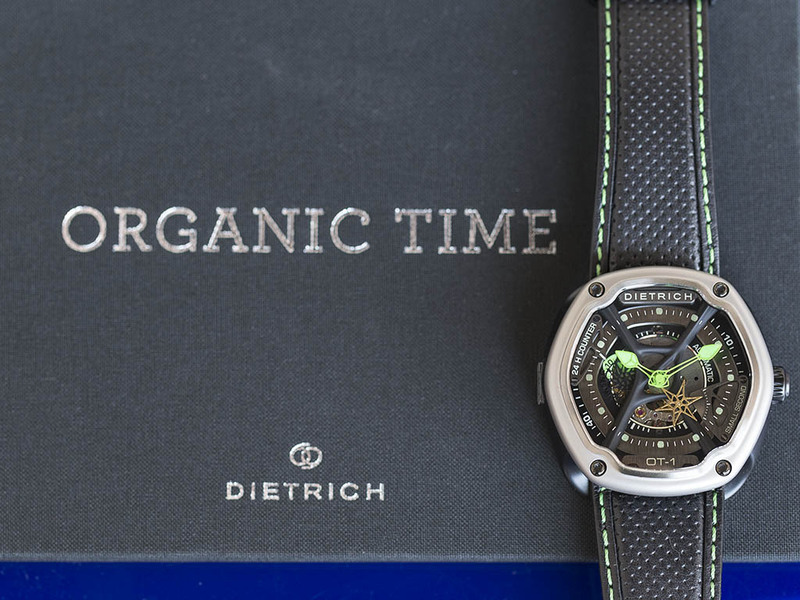 A few years ago, Dietrich decided to create his own brand; Dietrich 1969. You are pretty sure that the date information is the establishment date of the brand however, it's actually Mr.Dietrich's birth year. 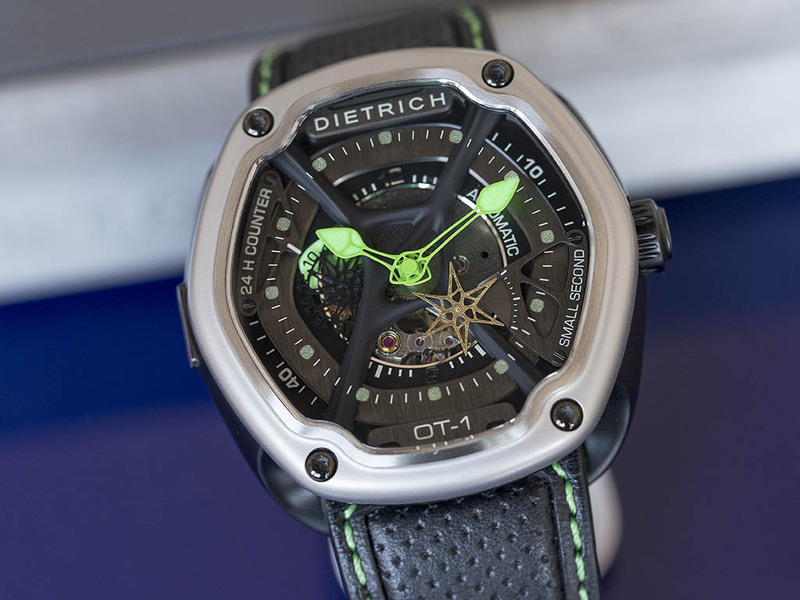 Until today, Dietrich released four different models. All models' Ref. No's start with “OT” as a prefix for “Organic Time”. I assume you are thinking about environment friendly materials and derivatives. Yet again, you are wrong. Maybe Dietrich thought cool designs work well with unusual slogans or simply catchy phrases. “Those are the words, which expresses my way of designing..says Dietrich. “ Feelings, emotions, taste and forms.. Enough for the “ inspired by life.. “ designer talk. Let's get back to the point shall we..? Apperantly, the watch has an extraordinary design. Yes it's different but, in a positive way. 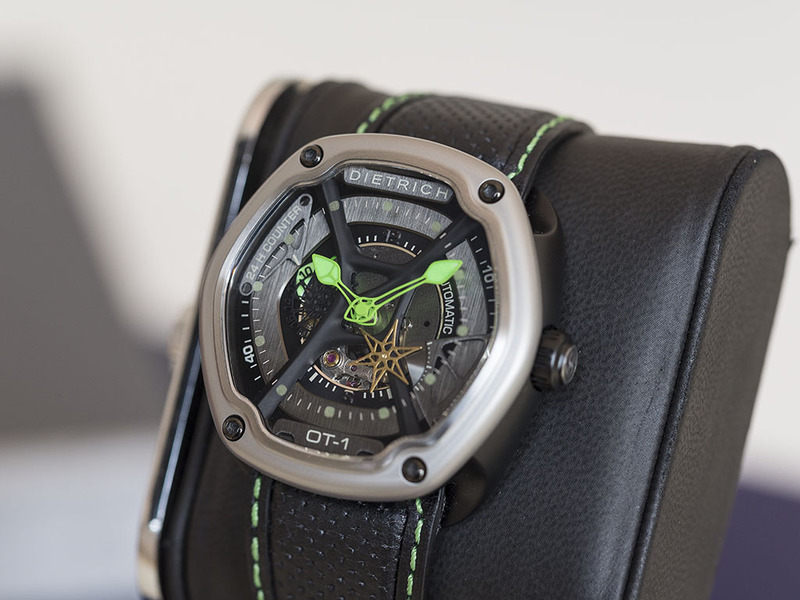 By the way, when the subject is extraordinary and unique watches, the ultimate expert for that matter is Richard Mille. While the majority of the jet society were showing off with their AP ROOs and Hublot BigBangs, the very few top riches were searching for something else.. Something different, rare, extraordinary,unique.. And oh well, unbelievably expensive. 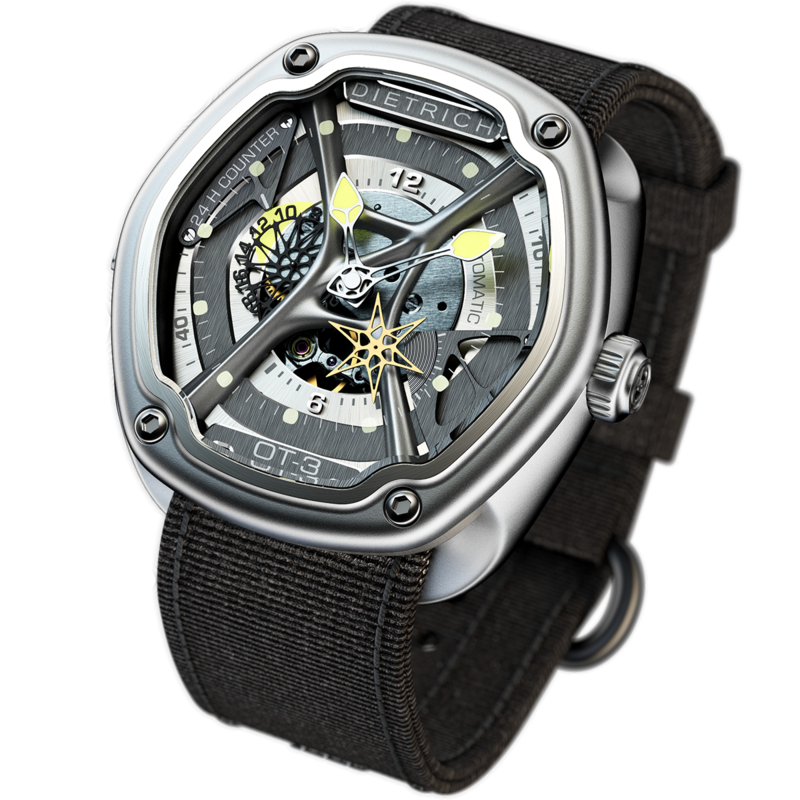 At that desperate times, Richard Mille showed up in his shining, forged carbon and sapphire armor. 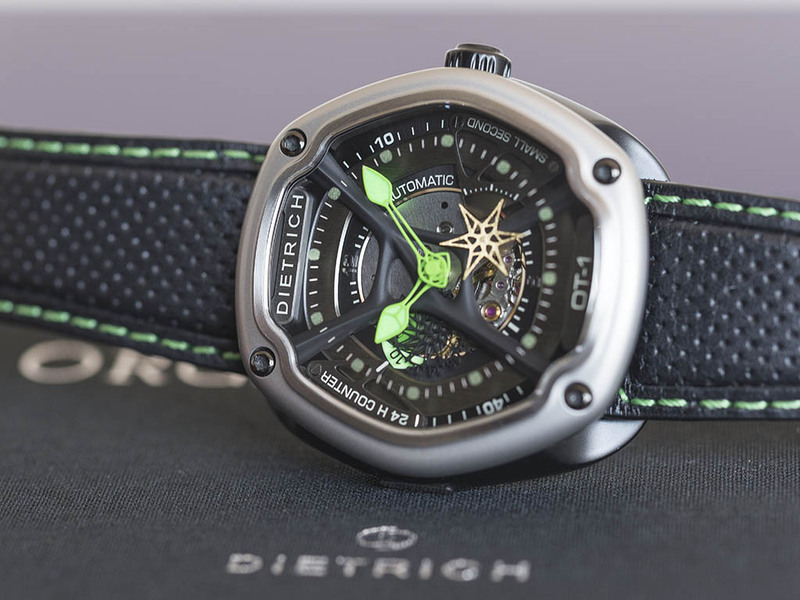 Now the very rich found what they've been looking for; a watch which was more expensive then their car..
OK, I respect RM for their highest level of engineering and development of alternative materials. Horology wise speaking, RM achieved a very difficult task. 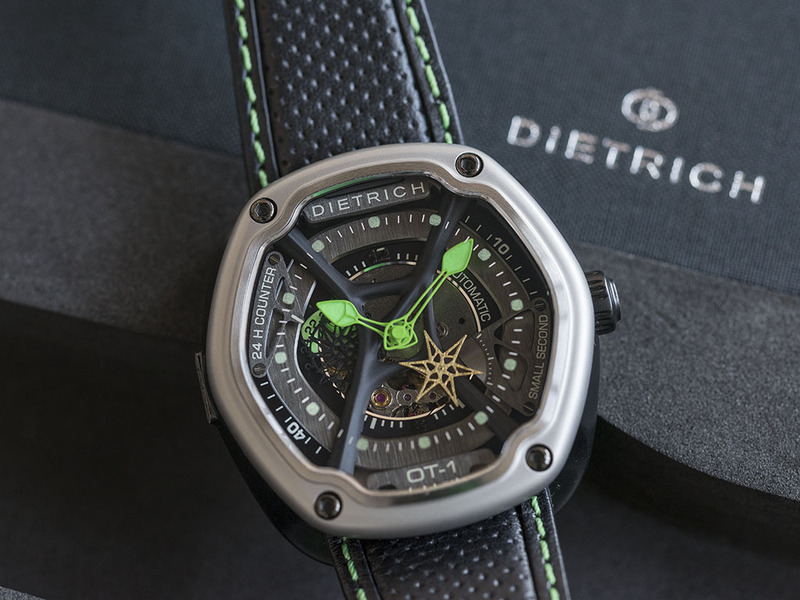 As a very young brand, Dietrich got in to the world of horology with unique products which are quite competitive in both design and engineering criteria.Measured within the league of it's rivals, Dietrich got pretty good sales figures proving that young brands can be successful. 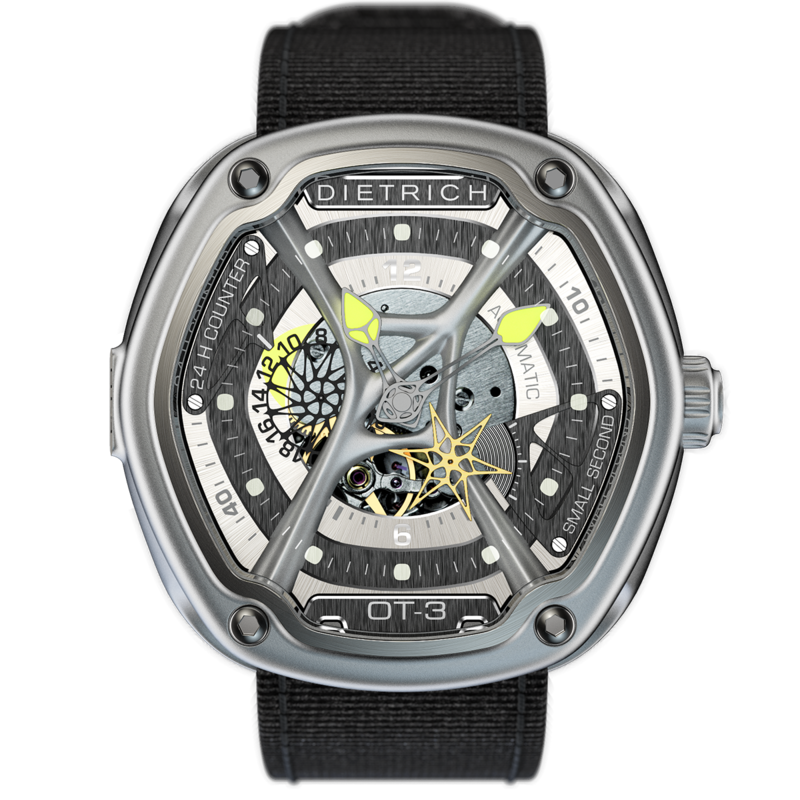 In my opinion, Dietrich is one the best brands which offer unique and extraordinary designed timepieces with affordable price tags.Though my initial thoughts were not on the bright side thanks to Emmanuel's verbosity about his feelings bla bla, I got rid of them right after I strapped the watch to my wrist. 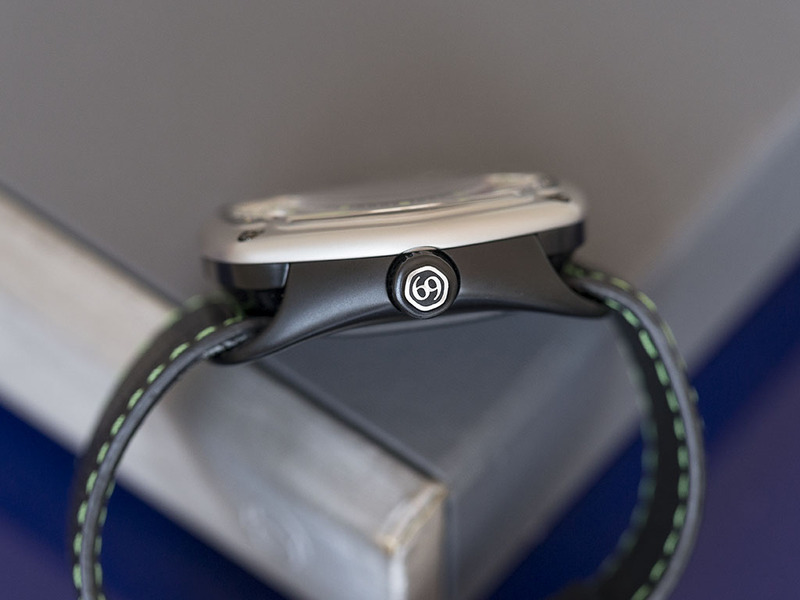 The watch wears big and bold on the wrist but absolutely not uncomfortable. 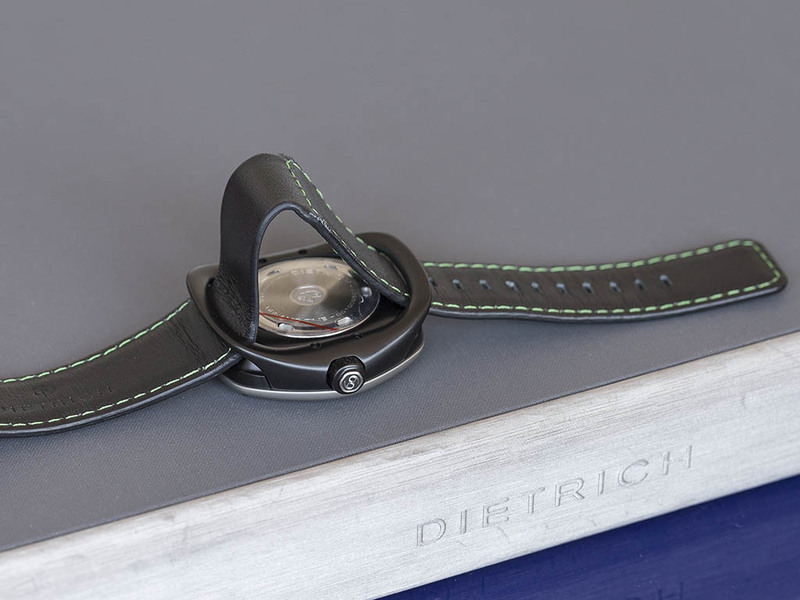 Dietrich's wearing comfort seems to be coming from it's design which kept the case length at 48mm. An easy sample to my observation about comfort; Rolex Submariner's case length is also 48mm. Case thickness rests at a fair 13.7mm. Total weight is 128grm which is a nice figure for a big watch. 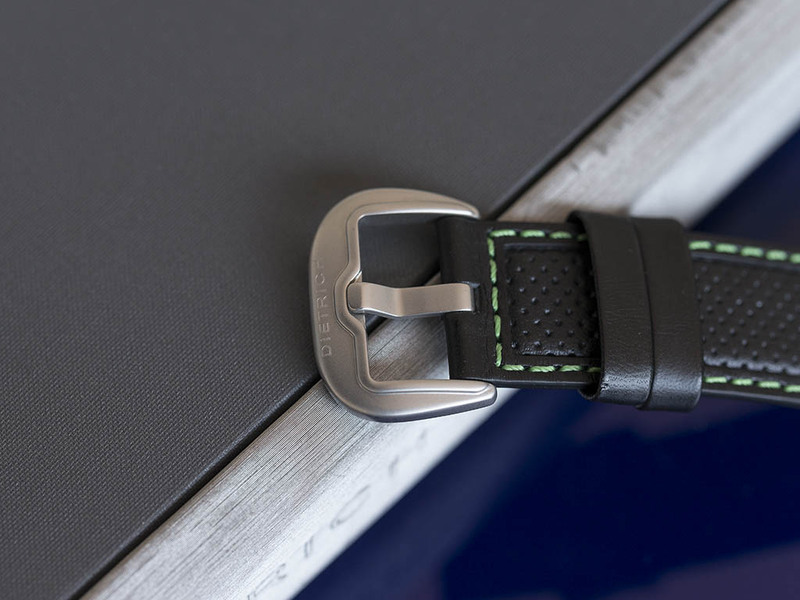 The case is made of 316L grade stainless steel. The lower side is black PVD coated.The finish in both surfaces are flawless to the naked eye. The dial is quite entertaining actually. Made of several layers, each layer has it's own color and form creating a 3D effect.The color of the hands set is also exclusive to the model. The crystal is made of sapphire. I'd be feeling more comfortable if the watch had 100M water resistance rating instead of 50M. It's better to keep the watch away from water. Dietrich OT-3. 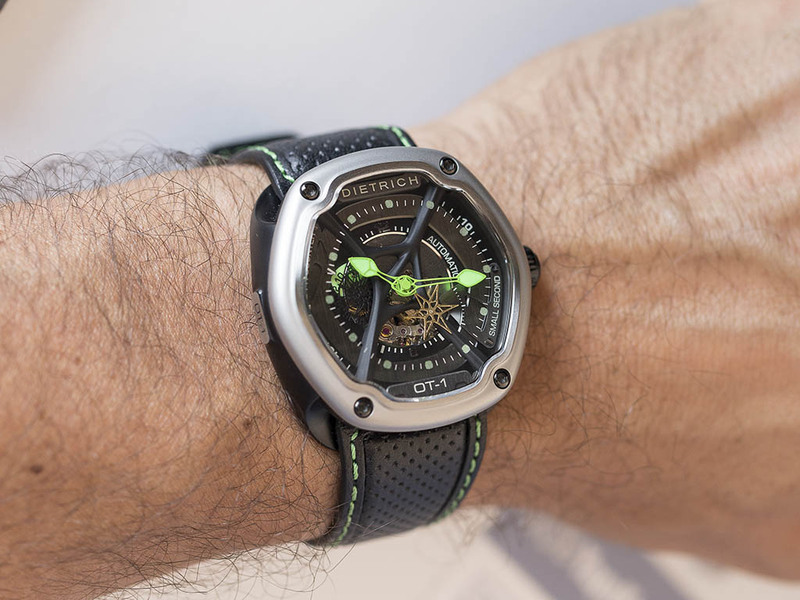 The green color of OT-1 matches the green tone of luminova but still my personal choice would be OT-3. 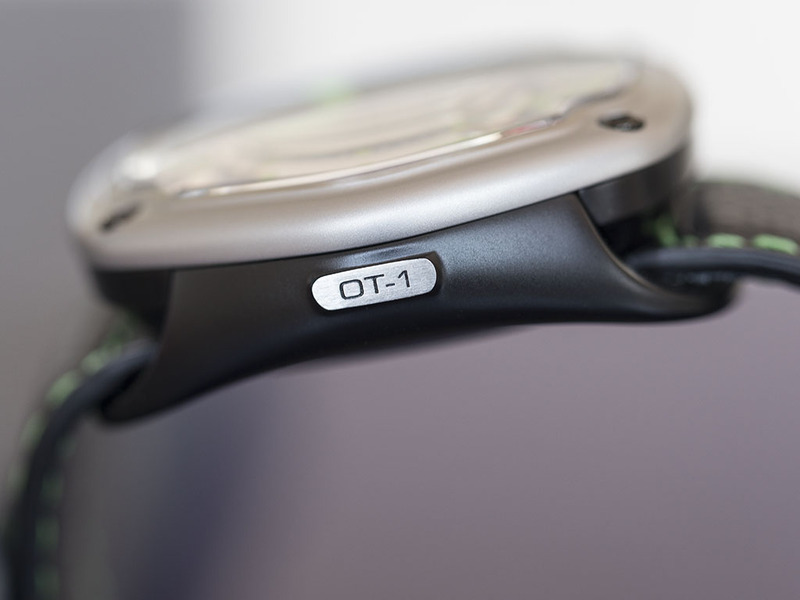 Dial features a small second at 04:30 position and a day/night indicator at 10 o'clock position. I am not sure whether they look good or a bit squeezed together. The watch features Miyota 82-S-7 caliber which most “ affordable extraordinary design” watches use. It's a good and reliable movement. In order to get some more exclusivity, higher grade calibers could be added to the collection in the future. I simply loved the nylon/nato hybrid looking strap among other options. I strongly suggest that strap to every Dietrich owner. Do I ever think of buying a Dietrich..? If they produce the color/material combo I have in mind, Yes. I am pretty sure that a combination of black PVD and rose gold would be stunning. While the brand's models and color/material combinations are still pretty less in number, I suggest you go and get one if you find a version for your taste. Prices are affordable but this will not gonna last forever.